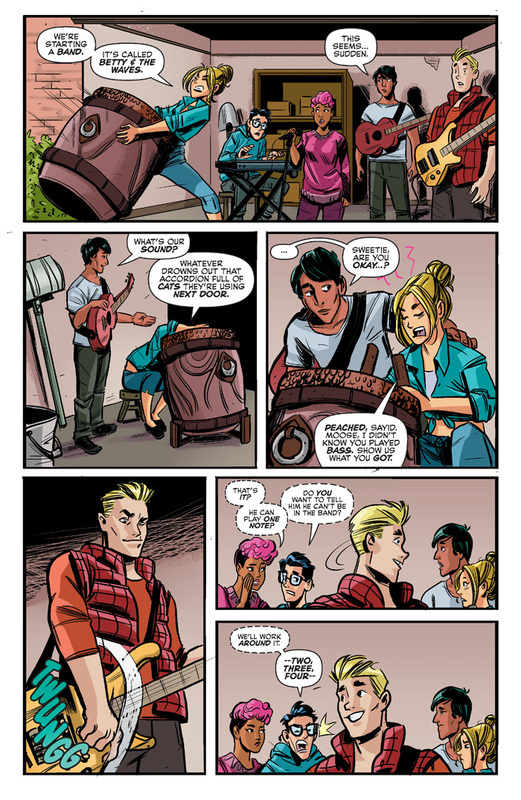 Archie and Jughead have been playing their instruments in Archie’s garage for a while, but now it’s finally time for them to take their talents elsewhere. 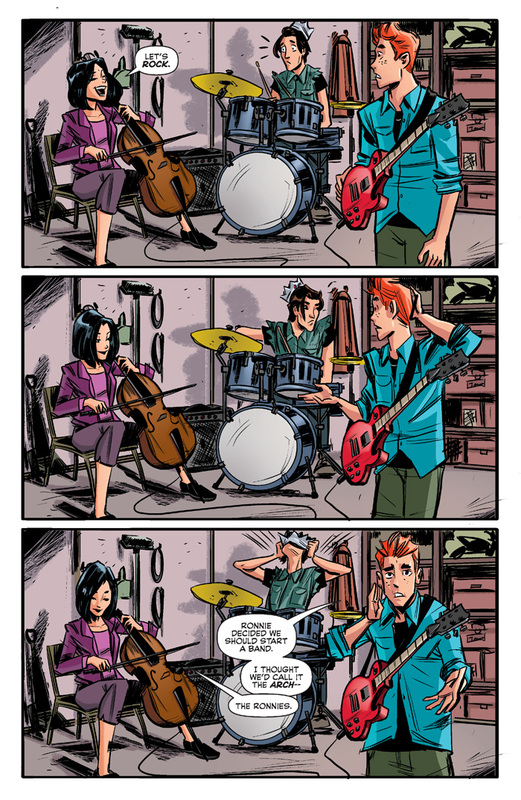 Veronica suggests that the two form a band—assuming, of course, that she gets to be their lead singer. 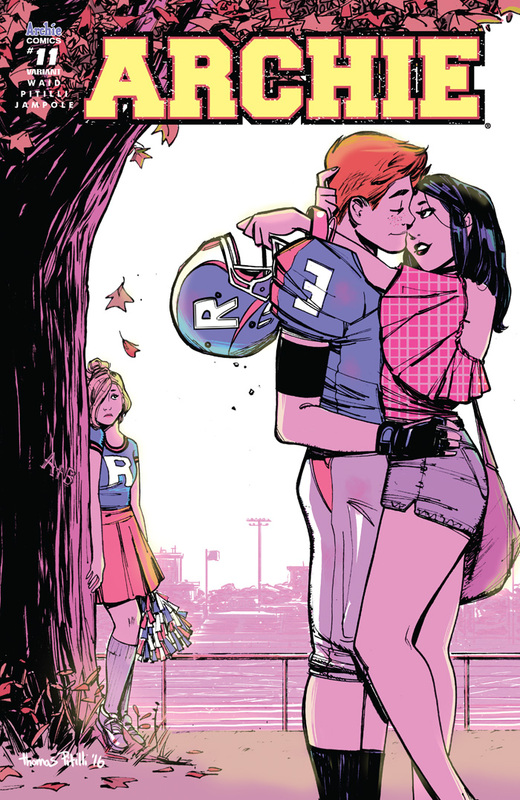 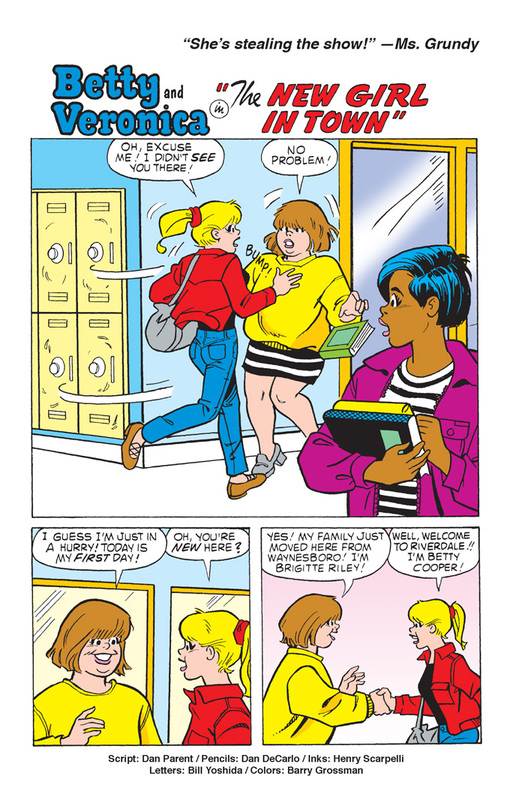 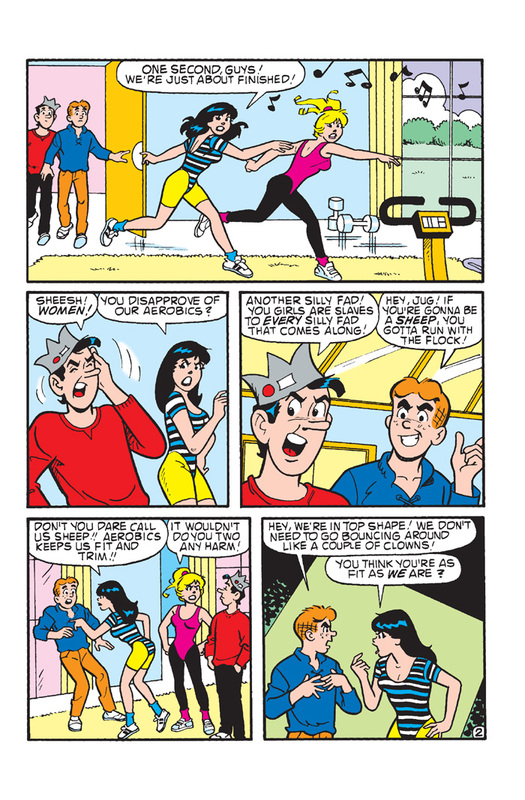 This bothers Betty, since music was a deep connection that she had always shared with Archie—so she’ll just have to form her own rival band. 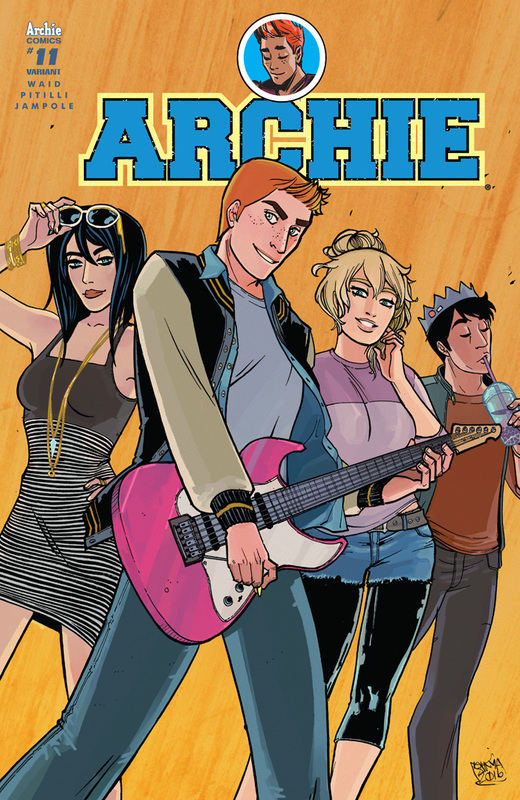 Now it’s #TeamArchie vs. #TeamBetty in a battle of the bands that has the whole school picking sides! 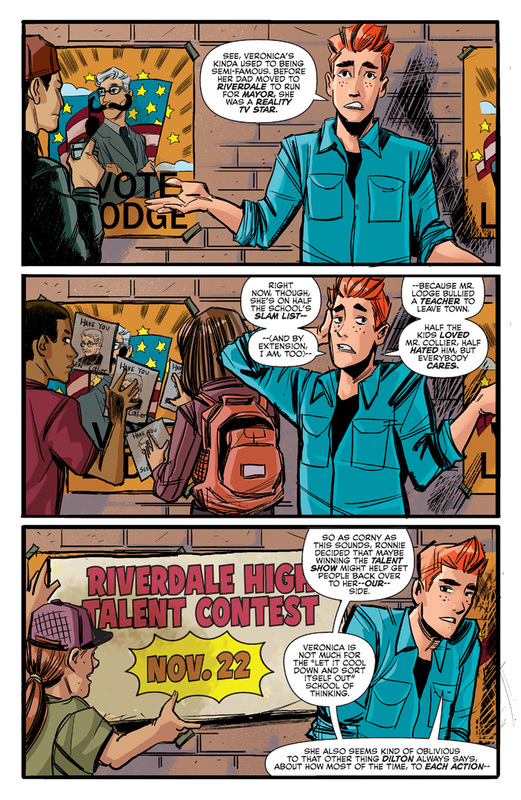 Pop is hosting his very own lip sync battle at the Chocklit Shoppe and everyone in Riverdale is invited to compete! 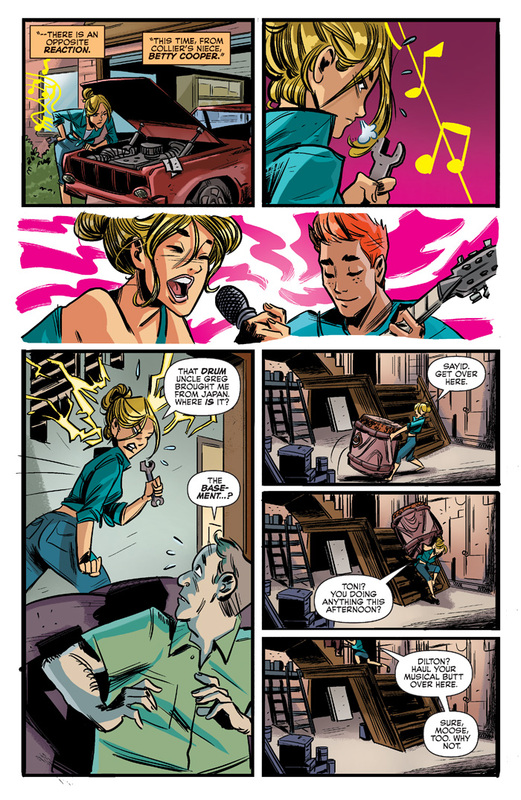 All it takes is a little skill and a great memory to get all the lyrics right… right? 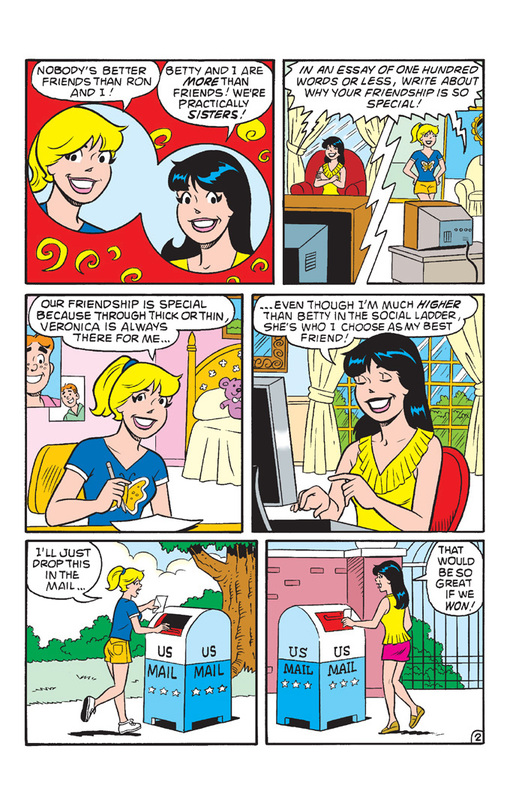 When it comes to competition, Veronica plays to win. 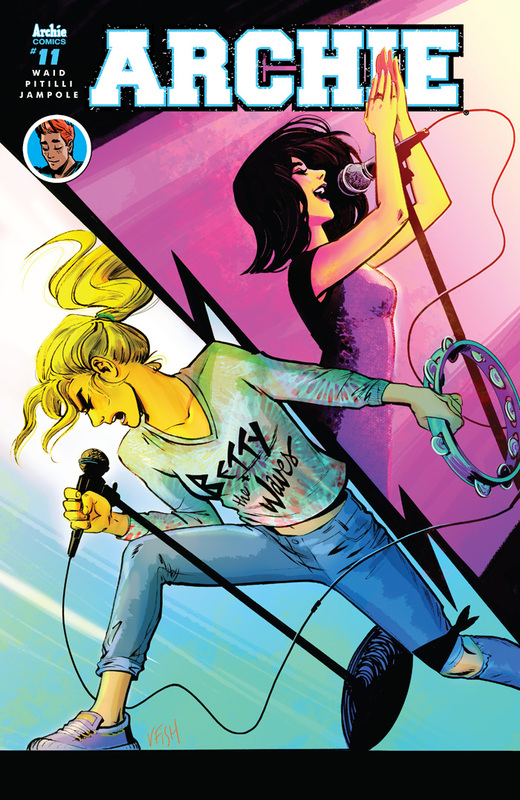 She’s going to put on a full performance with props, sound equipment, costumes, lighting and more. 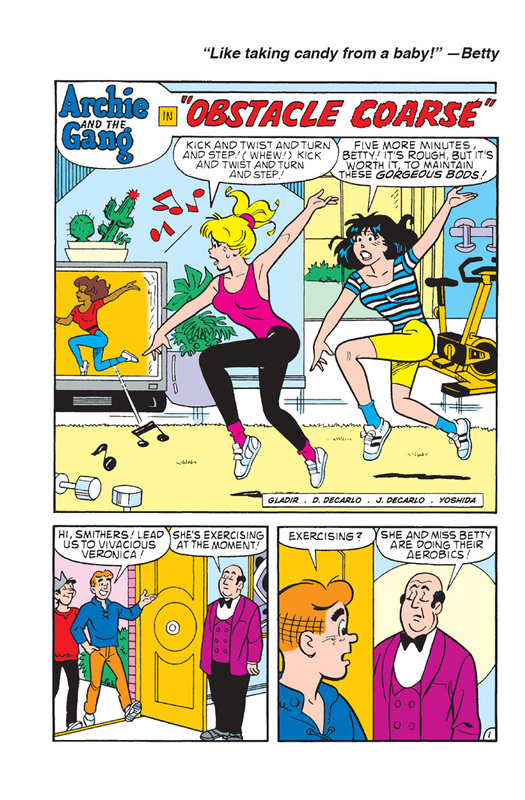 But can showmanship win out over talent in the end? 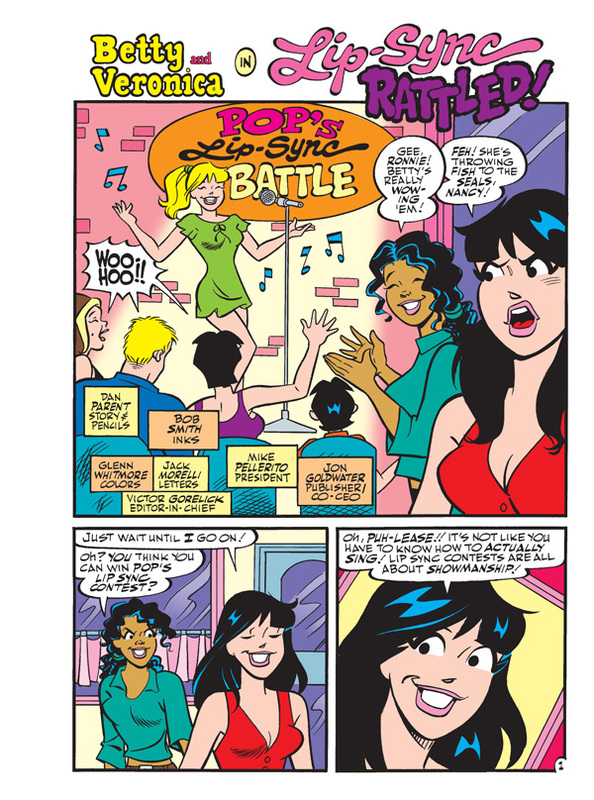 Find out in “Lip Sync Rattled,” the hilarious lead story to this comics double digest! 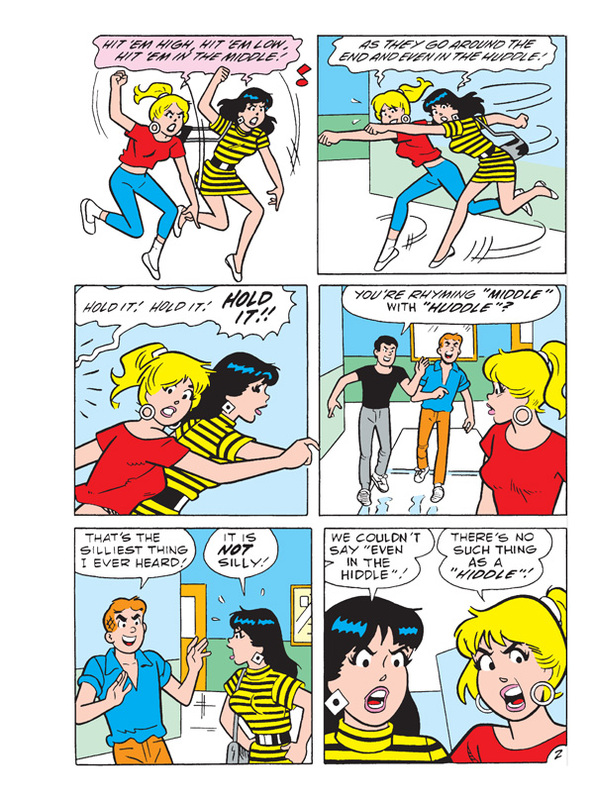 Anything boys can do, girls can do better! 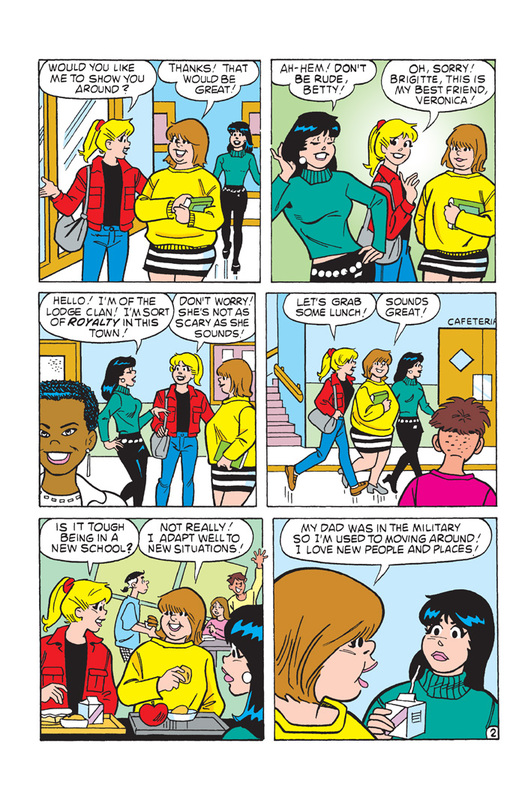 The gals are taking center stage and showing the boys who's boss! 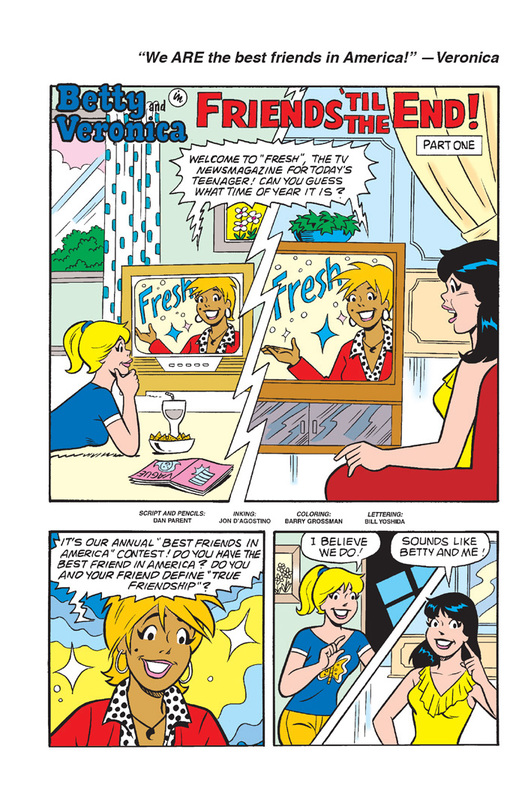 Watch the girls as they challenge their male counterparts to a dance-off, show them what's what on the sports field and even fight crime! 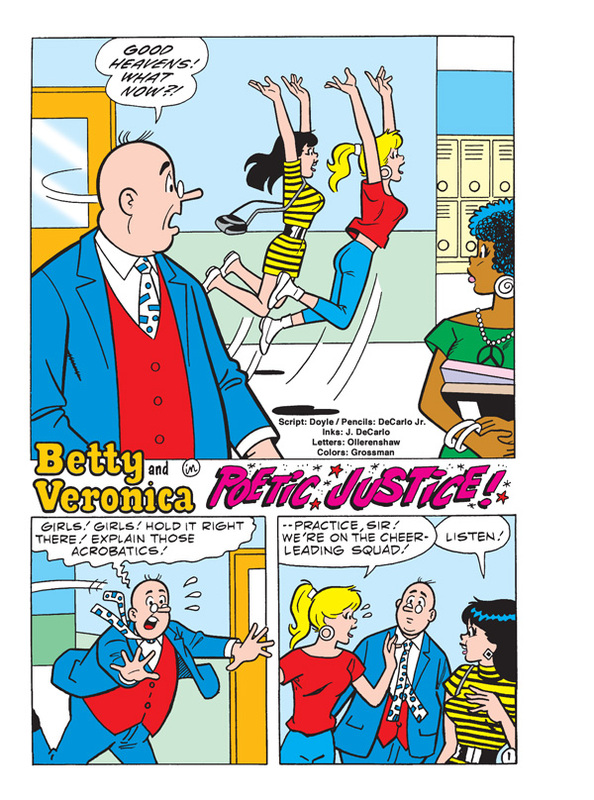 It's not just a battle of the sexes, but also a fun walk through history, highlighting important female figures throughout time standing up for what's right! 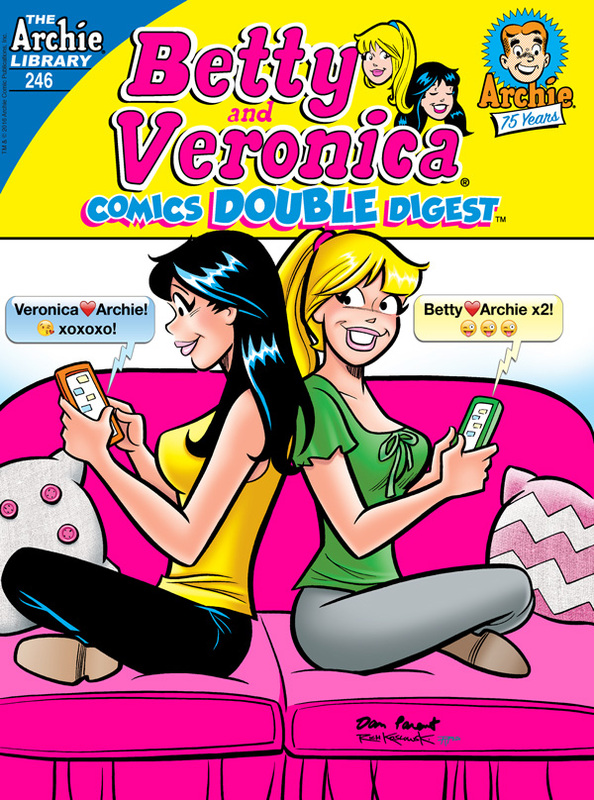 This collection spotlights the girls of Riverdale, including Betty, Veronica, Nancy, Cheryl, Ethel, Ginger, Trula Twyst, and Brigitte. 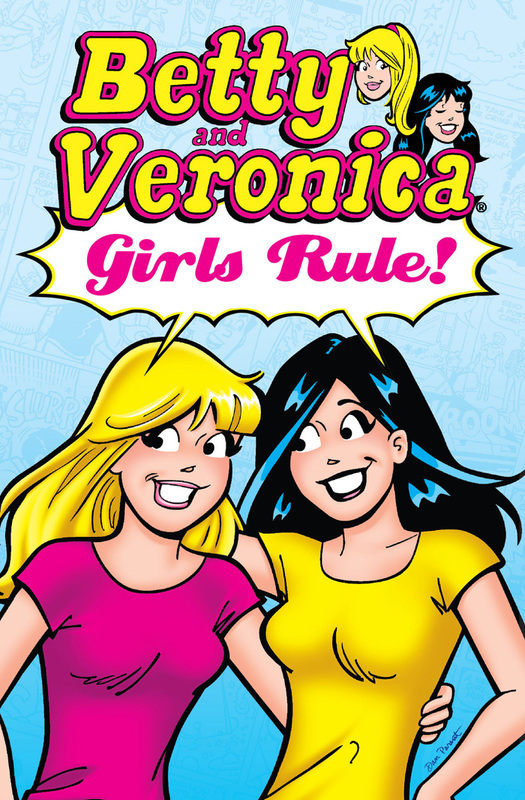 In this collection, the girls really do rule!